Surrey called Sham 69 are down the Roxy tonight. 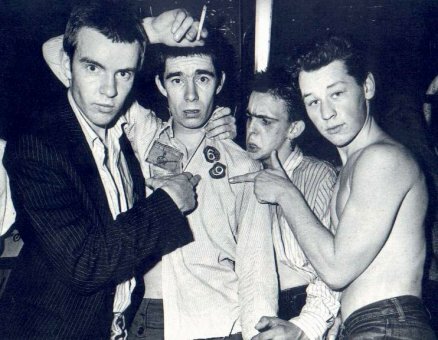 Sham 69 are one of the new breed of working class punks outfits making an appearance without no arty connections whatsoever! bad name preceeds them, and they are thrown out of Jersey after only 24 hours with police hassle and strip searches. Continue their weekly residence at the Red Cow, Hammersmith, London. head down to Plymouth, Woods Centre tonight. The Beastly Cads have decided a name change is called for. They will be now known as The Models and feature ex-Banshee Marco Pirroni on guitar.